Attendees: Father Germán Sánchez, Anne Watine Habib, Mayra Torres, Irma Lomeli, Fidelia Bautista, Javier & Adela Moreno, Theresa Lomeli-Perez, Ana Serpas, Sister Ana Maria López, Sister Rosa Mendia, Rosalía Cortes, Magdalena Trinidad, Esther Esquivel, Josefina Ortiz, Isabel (Chavelita) Rodríguez, Sylvestre Bono, Yvette Tache, Patti Newler, and Daniele Megevand. § Mayra facilitated the opening prayer in English and in Spanish. § Mayra asked all council members to please confirm/update their contact information. § Mayra announced her integration as an employee at the Parish Office. § Irma Lomeli, Secretary agreed to take notes for the meeting. Anne communicated that the Church Goal for 2015 is $16,000 and that in order for us to meet the goal, the church would have to perform 2nd collections throughout the year. The next scheduled collection will be on the weekend of May 16th & 17th, 2015 during all the masses. 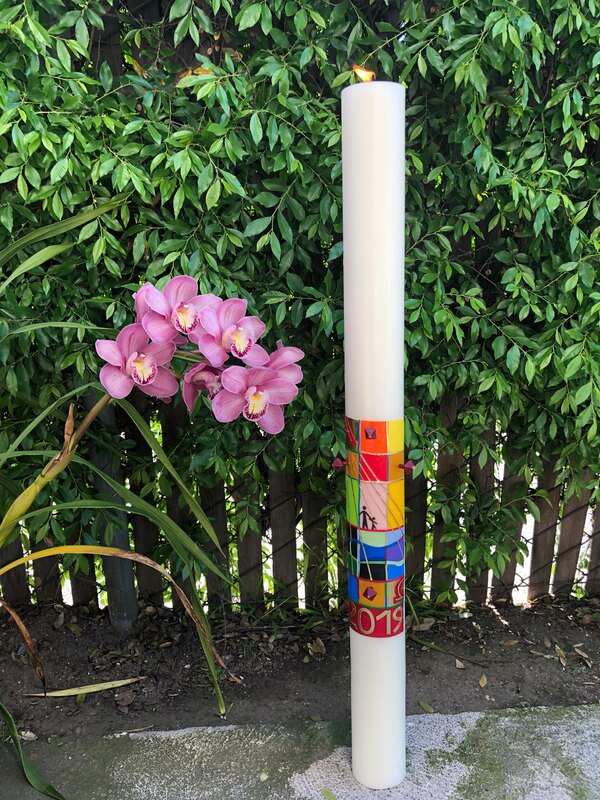 Anne informed that the Archbishop of Los Angeles, Jose Horacio Gomez will be celebrating the Sacrament of Confirmation to 45 Youth/Adults on Saturday – May 23rd at 5:00pm’s Trilingual Mass and that all parishioners are invited. § Anne Watine-Habib informed Council members of her departure in June 2015 as the Office Manager. Anne also expressed her gratitude and appreciation during the time of her employment. Anne’s goal is to fulfill her profession as a Teacher. § Fr. German and the council members thanked Anne for all of her hard work and wished her well and the best of luck. Anne, you will be missed! § Anne introduced Mayra Torres as her successor as the Parish – Office Manager. § Mayra informed Council members the importance of complying with the “Safeguard the Children” rules, regulations, and guidelines. There was an extensive discussion of information regarding the VIRTUS Training Course, Fingerprinting compliance, and signed Acknowledgement Guidelines Form(s) for all Church/School staff members, parents and volunteers. Mayra also informed that all requirements have to be completed by June 15th, 2015. · Thursday – May 21st from 6:30pm to 9:30pm in the school cafeteria in Spanish. · Saturday – May 30th from 9:00am to 12noon in the school cafeteria in English. · Tuesday – June 9th from 6:30pm to 9:30pm in the school cafeteria in English. § A location fingerprinting schedule for the month of May 2015 was also facilitated at the meeting. § The Guidelines Acknowledgement Form was given to all volunteers for acknowledgement and signature. § Anne created a document/brochure that includes all of the different/various groups, activities, and functions presently active in our Parish throughout the year. § The main purpose for this brochure is to inform our active and new members of the various/multiple activities we have in the parish during the year. It is important that we as parishioners understand and support our activities within the church. Existing and new volunteers are always welcome! § Irma asked the lead members of each group to review and update their group information and to provide a mission statement summarizing their group activities. Irma also asked the leaders to return the finished document to the parish office at their earliest convenience in order to continue with the compilation of information. § Sylvestre suggested that once we have a finalized document/brochure, to upload the list of Church activities/group in our website and post it in the church. · Property expenses (utilities, insurance, repairs, etc….). · Mass collections have not increased and have been flat for the past years. · Create a mission statement assistance, similar to the Roof Repair Campaign. · Have 2nd collections on a regular basis at each mass. · Sister Rosa & Sister Ana Maria suggested that we do fund raising activities on Sundays such as: Raffles, bake sales, food sales, mini yard sales, etc….and invite all parish groups to participate. · Post an “awareness” message in the bulletin informing that the Sunday collections have been the same for the past years; and that the utility expenses continue to increase. · Inform the need for the church to earn more money by asking parishioner’s to increase their weekly donation(s). · Patti suggested to inform parishioner’s what the received donated money is used for within the church and explain the budget, the need; how much we have; and how much we need. § Mayra explained that the Church electricity system is very old and that it needs immediate attention in order to avoid a hazardous situation. § Electricity repair has to be considered due to the old system that we currently have. § Mayra asked council members for suggestions/ideas on how we can recruit donations to change/replace the electric system? · Set a goal and a timeline and create a mission statement “Church Utilities” assistance, similar to the Roof Repair Campaign. · Have 2nd collection on a regular basis at each mass. § Father German will consult 2 to 3 businesses for estimates on an electricity repair project. Eventually, be able to select the most convenient and most reasonable. § Father German’s goal is to be able to change/replace bulbs and do electricity maintenance on an easier basis (to save money on repairs), instead of calling a technician every single time. § Odile informed that on June 24th, 2015, Fr. German Sanchez will be commemorating his 25th Anniversary as a Priest. § On Saturday – June 20th, 2015, Fr. German Sanchez, Fr John Galvin and Bishop Salazar will preside the 5:00pm Trilingual Mass. § A “Pot-Luck” will follow the mass at the school’s cafeteria. Please bring enough food to share for 8 to 10 people. § English, Spanish and French communities are invited to participate. § Fr. German shared with council members the discomfort and the complaints from neighbors regarding Sunday morning sellers/vendors. § Fr. German has gone through great efforts in trying to cooperate with the vendors and with the neighbors; however, the complaints continue to evolve. § The major complaints are: a) left over unwanted goods/foods/bread (trash) left in the parking-lot and on the sidewalk; and b) way too much noise. § Proposed action item: Regulate the sellers/vendors and the cleanliness by asking for their cooperation. § On the other hand, some of our neighbors leave unwanted furniture and trash in our Rectory and Parish Office alley. Fr. German has asked them numerous times in a kind way to remove their trash and/or to call the City to collect them; however, we have not been successful. Most of the time, Fr. German ends up re-arranging the items to avoid blockage and/or accidents. § Proposed action item: Put a sign in the alley that displays “No Trash in Alley, Please”. § Mayra asked council members if there was a need to continue with the Annual – Parish Yard Sale in the Fall? § Mayra’s original question was raised due to the lack of insufficient volunteers in the past years, and way too much clothes and shoes that needed to be discarded at the end of the yard sale. § A positive reaction was expressed from council members since the Annual – Yard Sale is a great opportunity for Fundraising and for bringing the three communities together. In 2014, we fundraised $4,023.50. § The decision was to made to “continue” with the Annual – Yard Sale, and to created a new/different action plan. The proposed date for the next Parish Yard Sale is Sunday – October 11th, 2015. · Create a Committee to assist before, during, and after the yard sale. At the meeting, 6 parish council members volunteered to form and to start the committee. The committee will invite new volunteers to participate and will meet on a regular basis for planning. · Mr. & Mrs. Javier & Adela Moreno from the Tlacolula Group offered a donation to be used as one of the raffle items. · Announce specific dates as to when and where “specific items” would be collected. · If the clothes and shoes are a burden for the annual yard sale; Sisters Ana Maria and Rosa suggested that we do a “Clothes & Shoes” only yard sale once a month (on a Sunday for a couple of hours) with the help of the parents of the children/youth attending catechism class and including perhaps raffles, coffee, donuts, tamales, etc…. This would be another positive way to contribute to the fundraising campaign. § Fr. German Sanchez and the French speaking members expressed their enthusiasm for the French Dinner event. The next French Dinner event is scheduled for Saturday – November 14th, 2015. § Wednesday – September 16th, 2015 at 7:00pm at the Parish Office. § New Members are always Welcome! Fr. German concluded the meeting with a “Thank You” to all pastoral council members. Presentes: Padre Germán Sánchez, Anne Watine Habib, Mayra Torres, Irma Lomeli, Fidelia Bautista, Javier & Adela Moreno, Theresa Lomeli-Perez, Ana Serpas, Sister Ana Maria López, Sister Rosa Mendia, Rosalía Cortes, Magdalena Trinidad, Esther Esquivel, Josefina Ortiz, Isabel (Chavelita) Rodríguez, Sylvestre Bono, Yvette Tache, Patti Newler, and Daniele Megevand. 1. Oración de Apertura Mayra presentó la oración en inglés y en español. Mayra pidió a todos los miembros del consejo que confirmaran o actualizaran su información de contacto. Mayra anunció su integración como empleada de la parroquia. Irma Lomeli, Secretaria aceptó tomar notas de la reunión. Anne comunicó que la meta de la parroquia para el 2015 es de $16,000 y que a fin de poder cumplir con el objetivo, la parroquia tendrá que realizar 2 colectas adicionales durante el año. La próxima segunda colecta programada será para el fin de semana del 16 y 17 de Mayo del 2015 durante todas las misas. Anne informó que el Arzobispo de Los Ángeles, José Horacio Gómez celebrara el Sacramento de la Confirmación a 45 Jóvenes/Adultos el sábado – 23 de Mayo en una Misa trilingüe a las 5:00pm. Todos los fieles están invitados. Anne Watine-Habib informó a los miembros del Consejo de su salida en Junio del 2015 como administrador-adjunto de la parroquia. Anne también expresó su gratitud y reconocimiento durante el tiempo de su estancia. La meta profesional de Anne es trabajar como maestra. El Padre Germán y los miembros del Consejo agradecieron a Anne por su buen trabajo y le desearon buena surte. Anne, te extrañaremos! Anne presentó a Mayra Torres-Cagigas como sucesora. · Jueves – 21 de mayo de 6:30pm a 9:30pm en la cafetería de la escuela en español. · Sábado – 30 de mayo de 9:00am a 12:00pm en la cafetería de la escuela en inglés. · Martes – 9 de junio de 6:30pm a 9:30pm en la cafetería de la escuela en inglés. · El calendario del mes de mayo del 2015 para tomar las huellas digitales fue proporcionado durante la reunión. · El formulario “Reconocimiento de haber recibido la guía para adultos” fue proporcionado a cada voluntario para firmarlo. Anne creó un documento/folleto que incluye los diferentes grupos, actividades y eventos en nuestra parroquia durante el año. El propósito de este folleto es informar a los miembros activos y nuevos de las actividades que tenemos en la parroquia durante el año. Es importante que nosotros como feligreses entendamos y apoyemos nuestras actividades. Activos y nuevos voluntarios son siempre bienvenidos! Irma pidió a los líderes de cada grupo que revisaran y actualizaran la información de su grupo y proporcionaran una descripción resumiendo las actividades del grupo. Irma también pidió a los líderes someter el documento terminado a la oficina parroquial a la mayor brevedad posible para poder continuar con la recopilación de información. Sylvestre sugirió que una vez que tengamos un documento/folleto finalizado, subamos la lista de actividades de la iglesia o grupo a nuestro sitio de web y que lo publicáramos en la iglesia. · Gastos de propiedad (servicios públicos, seguros, reparaciones, mantenimiento, etc....). · Las colectas y donaciones en las misas no han aumentado y han estado fijas en los últimos años. · Crear una campaña /misión de asistencia, similar a la campaña de reparación del techo. · Hacer segundas colectar más a menudo. · Las hermanas Rosa y Ana María sugirieron que podríamos recaudar fondos haciendo actividades los domingos como: rifas; ventas de ropa, comida, postres; ventas de mini garaje, etc... e invitar a todos los grupos parroquiales a participar. · Incluir un mensaje de "conciencia" en el boletín informando que las colectas durante las misas de domingo han sido las mismas por los últimos años; y que los gastos de utilidad continúan aumentando. · Informar los feligreses de la necesidad de aumentar su donación semanal. · Patti sugirió informar a los feligreses que el dinero recibido/donado se utiliza para dentro de la iglesia y explicar el presupuesto y la necesidad de la parroquia……cuánto tenemos y cuánto necesitamos. Mayra explicó que el sistema de electricidad de la iglesia es muy antiguo y que necesita atención inmediata para evitar una situación peligrosa. a. Establecer una meta y crear una misión de asistencia como "Utilidades de la Iglesia", similar a la campaña que hicimos para la reparación del techo. b. Hacer segundas colectas regularmente durante las Misas. El Padre German consultará de 2 a 3 empresas para obtener estimados en proyectos de servicio de electricidad. Eventualmente, poder seleccionar el estimado más conveniente y razonable. La meta del Padre Germán es poder cambiar/reemplazar bombillas y hacer mantenimiento de la electricidad de una manera fácil (para ahorrar dinero en reparaciones), en lugar de tener que llamar a un técnico cada vez que algo simple necesite reparación. Odile informó que el 24 de Junio del 2015, será el 25 aniversario de sacerdocio del padre Germán. El sábado – 20 de Junio del 2015, el padre Germán, el padre Juan Galvin y el obispo Salazar celebrarán la misa trilingüe a las 5:00pm. Una comida estilo "Pot Luck" seguirá después de la misa en la cafetería de la escuela. Favor de traer comida para compartir para 8 a 10 personas. Las tres comunidades de habla inglés, español y francés están invitadas a participar en la celebración. El P. German compartió con los miembros del Consejo las quejas de los vecinos acerca de los vendedores los domingos por la mañana. a. Dejan /alimentos/pan (basura) no deseadas en el estacionamiento y en los andenes. Acción propuesta: Regular los vendedores y la limpieza pidiéndoles su total colaboración. Por otra parte, algunos de los vecinos dejan muebles, basura y objetos no deseados en el callejón de la casa parroquial y de la oficina. El Padre Germán les ha pedido numerosas veces de la manera más amable que no tiren basura o que llamen a la ciudad para recogerla; sin embargo, no hemos logrados el objetivo. La mayor parte del tiempo, el Padre Germán termina por limpiar el callejón para evitar la obstrucción y/o accidentes. Acción propuesta: Poner un letrero en el callejón que diga: "NO tirar basura en el callejón". Mayra pregunto a los miembros del Consejo si era necesario continuar con la Venta Anual de Garaje de la Parroquia en el otoño. La pregunta de Mayra se originó debido a la falta de voluntarios en los últimos años y el exceso de ropa y zapatos que debían desecharse al final de la venta. La reacción de los miembros del Consejo fue positiva, ya que la venta anual es una gran oportunidad para recaudar fondos y para reunir a las tres comunidades. En el 2014, se recaudaron $4,023.50. La decisión final fue de "continuar" con la Venta Anual de Garaje de la Parroquia y crear un plan de acción nuevo y/o distinto. La fecha propuesta para la siguiente venta es el domingo – 11 de octubre del 2015. Crear un Comité para ayudar antes, durante y después de la venta de garaje. Durante la reunión, 6 miembros del Consejo Pastoral se ofrecieron como voluntario para formar y para poner en marcha la Comisión. El Comité invitará a nuevos voluntarios a participar y se reunirán regularmente para la planificación. El Sr. y la Sra. Javier y Adela Moreno del grupo Tlacolula ofrecieron una donación para ser utilizada como uno de los artículos para la rifa. Anunciar fechas específicas en cuanto a “cuándo” y “dónde” se recaudarían "elementos específicos". Si la ropa y zapatos suelen ser innecesarios para la venta de garaje; las Hermanas Ana María y Rosa sugieren hacer una venta de garaje un Domingo al mes (por un par de horas) e incluir “Ropa y Zapatos" solamente. Con la ayuda de los Papás de los niños/jóvenes que asisten a las clases de Catecismo, confiamos que esto sería posible….. Esta sería otra forma positiva de contribuir a la recaudación de fondos. El padre Germán y los miembros franceses expresaron su entusiasmo por el evento de la Cena Francesa del año pasado. La próxima Cena Francesa está prevista para el sábado - 14 de noviembre del 2015. Miércoles – 16 de septiembre del 2015 a las 7:00pm en la oficina parroquial. Nuevos Miembros siempre son Bienvenidos! El Padre German concluyó la reunión agradeciendo a los miembros del Consejo Pastoral.